SP’s Aviation (SP’s): If you look back, how do you perceive the event that witnessed dropping of “R” (Royal) from RIAF (Royal Indian Air Force) introducing India’s own Indian Air Force? Chief of the Air Staff (CAS): Dropping of the prefix ‘Royal’ was the inevitable step in the process of committing the service to the Republic of India. It signified the IAF’s complete loyalty to the President as the Head of State and the Supreme Commander of the Indian Armed Forces and not the Royal sovereign of a distant land. SP’s: In today’s time of Joint Warfare ship, do you feel the rivalry within the services still exists? CAS: Major military campaigns in the recent past have shown us that the success rate is highest when we use a force which is logically balanced in terms of technology as well as components of aerospace, surface and sub-surface forces. The Indian Armed Forces are alive to this situation. The IAF always promotes interoperability in all spheres as it strengthens the existing resources of the three services. The IAF’s thrust towards interoperability begins with vertical coordination at all levels for planning joint campaigns keeping in mind the mobilisation, targeting and assault plans of the other services. Road map for joint war gaming is being formulated jointly by three services. As such all major exercises involve two/three Services eg. Live Wire-15, Tropex, Gagan Shakti 18, etc. Annual Joint HADR Exercises are being conducted, incorporating all three Services as well as Para Military and Civil Administration. All these exercises are jointly conceived, planned, coordinated and conducted. SP’s: How would you perceive the politicization of military acquisition programmes once concluded? CAS: The defence procurements are being undertaken as per the guidelines specified in the Defence Procurement Procedure (DPP). The DPP has been revised from time to time while retaining the basic character of Transparency, Probity and Public accountability. The IAF is steadfast and committed towards achievement of our long term procurement plans as per the DPP. (a): Constant boosting of the morale of airmen. CAS: In an endeavour to enhance satisfaction level and morale of senior Sergeants, it has been decided that all Sergeants who have completed 29 years of service, will be granted acting unpaid rank of Junior Warrant Officer (JWO). This will enable such airmen to retire as JWOs. Skill grading of Airmen has been given enhanced impetus through conduct of test by REB/GEB. The same has been linked to the professional performance of airmen in certain attributes of their annual reports. So far a gazette notification was published for the promotion to the rank of substantive Warrant Officer (WO). The same has been extended to MWOs, WOs and JWOs as well. Also, no activity can be more perennially rewarding for the air warriors than the quality schooling for their wards. IAF therefore lays required emphasis and all 132 Air Force Schools have carved a niche for themselves. Our Board Examination results this year have been encouraging and much above the national average. NITI Aayog has funded setting up of the prestigious Atal Tinkering Labs in three Air Force Schools. You will see a rising representation of our schools in such projects in the coming years. Admission concerns of the air warriors in Kendriya Vidyalayas, during transfers, have also been addressed and accordingly class capacity has been enhanced for the wards of defence personnel. 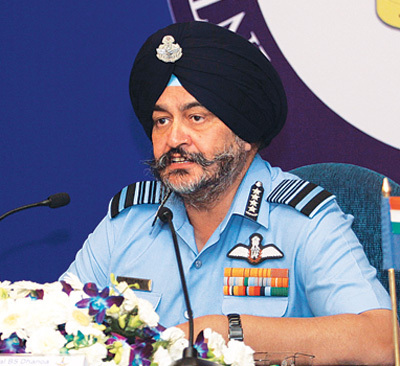 (b): Youth of the country gets attracted towards the Air Force as a career. CAS: ‘DISHA’ at Air HQ conducts Induction Publicity Programmes all across the country related to induction/career in the IAF. Purpose of these activities is to develop the ‘IAF Brand’ amongst the target group and to make the youth aware about various career opportunities available for them in the IAF. 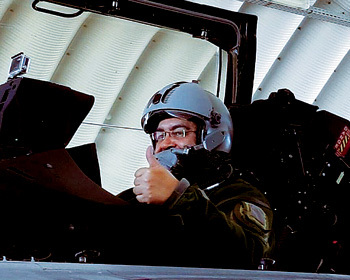 Various initiatives and publicity efforts have been taken by the Air Force. NCC special entry has been extended to women Air Wing Cadets with ‘C’ certificate. This would enable them to directly go for SSB, without any screening test to become a Short Service Commissioned Officer in the flying branch of the IAF. Online testing of Air Force Common Admission Test (AFCAT) has been implemented on pan-India basis. To reach the youth the IAF maintains a career website www.careerindianairforce.cdac.in which contains all the induction and selection-related information. Advertisement for all the entries is released in Employment News, various magazines and also as newspaper advertisement in vernacular language on pan-India basis. During the process of induction, a large number of voice calls on induction queries of repeated nature are resolved through IVRS. Thrust on motivational lectures and one-to-one interaction, which is the most effective method of publicity, has been enhanced for providing guidance to students of premier institutes as well as rural educational institutes, NCC Cadets and Sainik Schools. Specific institutions in geographically displaced regions have been identified and motivational talks have been conducted. Air Force participates in various exhibitions and fairs. Publicity stalls were set up at various forums such as ‘Youth Festivals’, ‘Aero India Air Shows’, ‘Know your Forces’, National Bal Bhavan, etc. Induction Publicity Exhibition Vehicle (IPEV) was launched on October 8, 2015, as a pilot project and has successfully completed six road drives in the North, East, West, Central and Southern parts of the country. IPEV drives have so far covered 32,000 km, 500 institutes and resulted in one to one interaction with approximately 1,50,000 students. The induction-related information is being uploaded from time to time in IAFs official account of Facebook, Instagram and Twitter. Unmanned Combat Aerial Vehicle (UCAV). CAS (a): The Avro replacement case is underway and presently negotiations are in progress. (b): The RFI for six FRA has been issued in March 2018 and the case will be progressed as per DPP. (c): The IAF currently has 31 active fighter squadrons. The fighter aircraft strength is planned to be made good through induction of remaining contracted Su-30 MKI, LCA and the Rafale. Procurement for 83 LCA Mk1 A has been initiated. Further, the case for 114 fighter aircraft is being processed under the Strategic Partnership model of DPP-16. Other options are also being explored to build up to authorised strength at the earliest. (d): Jaguar DARIN III aircraft are undergoing midlife series upgrade at HAL. (e): The IAF is processing procurement of 38 additional Pilatus PC-7 Mk II under the ‘Option Clause’ to meet the training requirements. (f): The IAF intends to expand its RPA fleet. The IAF is working with DRDO for developing such a capability wherein the contours are being finalised. SP’s: The IAF has now been participating in numerous international exercises across the globe. Is there a radical change in the IAF doctrine and will IAF be a part of any multi-nation operations? CAS: During the conduct of international exercise, various methodologies of operational planning and execution are incorporated. Lessons learnt with conduct of every multi-nation exercise are deliberated at the highest levels. The IAF is geared up to undertake all tasks assigned by the Government of India. SP’s: Is Air Force looking at re-organising the Maintenance Command and the BRDs /EDs to support the aircraft/systems repair and overhaul? How is the modernisation of the BRDs being progressed? CAS: Except for minor rearrangement, there is no major reorganisation envisaged as role and task of Maintenance Command and its task is well defined. Maintenance Command has been effectively undertaking Engineering and Supply Chain tasks for legacy as well as state-of-the-art weapon delivery platforms and systems through 52 units functioning under it. BRDs have been in the forefront of carrying out MRO activities for our military assets. EDs are vital links in the supply chain management of the IAF dealing with provisioning, procurement, warehousing and transportation of aggregates and spares to various operational units. These units are considered critical for effective maintenance support and to sustain the operations as per the pace desired by the modern era. Maintenance Command tasks extend much beyond ROH and warehousing of weapon systems and include indigenisation of spares, innovative solutions to address obsolescence, modification of existing equipment for capability enhancement and life enhancement to name a few. BRDs have also become Centres of Excellence in respective functional areas. Nodal Technology Centres (NTCs) have been formed at our Depots to closely interact with industry, academia and research labs to effectively support the ‘Make in India’ mission. NTCs will also function as incubators for defence start-ups. Modernisation of BRDs is being progressed in a three-pronged strategy because of longer gestation period in materialising modern equipment. Part of modernisation process is de-centralised. In this de-centralised modernisation process, BRDs are procuring modern equipment that are of specific use to that particular BRD and procurement of which is urgent in nature for functioning of the BRD. This is an on-going process and BRDs have benefitted by having latest machines and equipment. 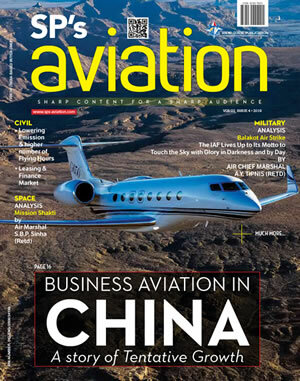 For items of equipment that are common to various Depots and wherein cost advantage can be generated because of quantities are being processed centrally by Air HQ. Procurement of 135 machines is planned as part of this action. 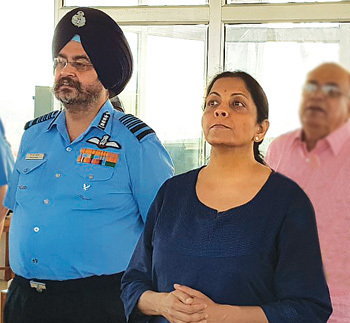 In order to expose IAF personnel working in BRDs to modern technology and processes, regular visits of BRD officers and airmen to civil industry in India are being organised. We have ensured training of our technicians so as to imbibe Best Practices by exposing them to institutes like IGCAR, BEL, etc and to various workshops on Quality Assurance, latest repair techniques being conducted at PSUs and in civil institutes. SP’s: What is your view on the Theatre Command concept being considered by the Army? Will it radically change the way IAF operates? 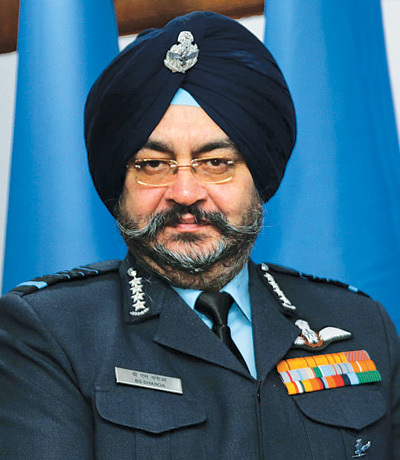 CAS: On the issue of integrated commands, the IAF is of the view that given the size of our nation, the entire country needs to be treated as a single theatre. This is in line with the general expanse of theatres seen in major militaries that subscribe to this model. The Western Theatre Command of China is as large as India. The other major military that subscribes to this model, i.e. the US military also has integrated commands which are far larger. For example, the entire Continental United States, along with Canada and Mexico make up the area of the US Northern Command. 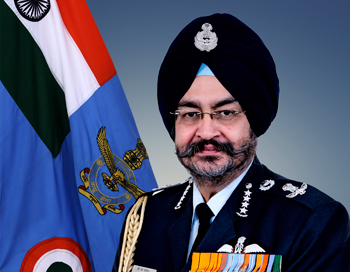 The IAF is completely in favour of the reform of the Higher Defence Organisation. 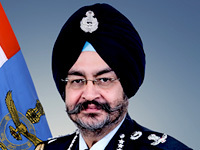 The exact nature of this reform is the subject of extensive consultations between the concerned stakeholders and includes the establishment of a Permanent Chairman Chief of Staff Committee as the singlepoint professional military advisor to the Cabinet on defence matters, along with formation of departments of the Army, Navy and the Air Force headed by the respective Vice Chiefs as Secretaries.